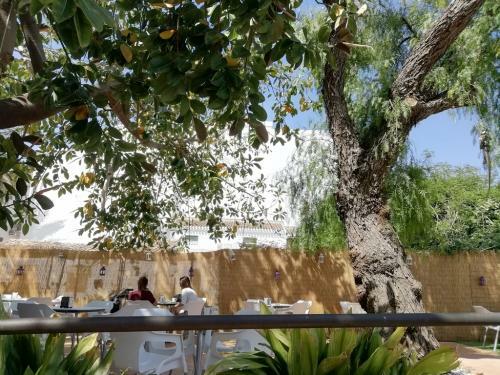 L'ENCANT is a popular cafeteria located on the Plaza de la Constitución with a sunny open terrace and a garden area shaded by the branches of the impressive rubber tree. 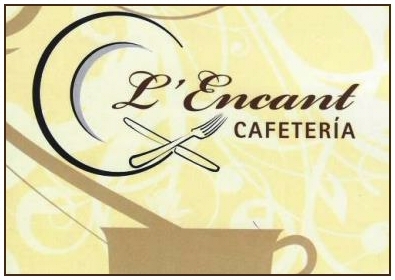 With many years of catering experience behind them the team at L'Encant welcomes you, it is the ideal spot for breakfast, lunch or a coffee and cake. 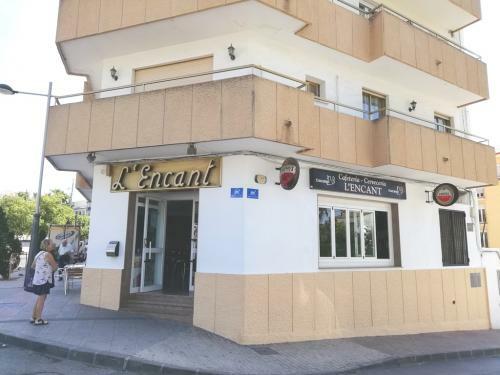 The mouthwatering menu of delicious open toasted baguettes with a selection of toppings, hot and cold bocadillos and sandwiches is complemented by a fabulous range of "cocas", pastries, and cakes for the sweet-toothed among you. All accompanied by a range of teas, infusions or coffees. And a fully stocked bar with a well-chosen selection of beers from around the world will see you through into the evenings. Clients can choose from any of the ingredients available to make their perfect combination.